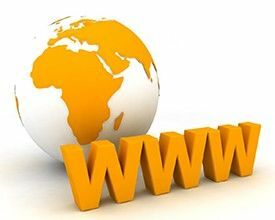 All of our new license sales includes charges for purchasing standard international TLD (.com, .net, .org, .biz, .info etc) domain name for 1 year. This includes domains not already registered only and does not include purchasing domains from any auction portal. Also do note that we do not purchase domains requiring private domain registration. Such domains you need to purchase directly or get it purchased through another service provider. Whether purchased by us or you use your existing domain or you purchase the domain, in all cases you can use our MLM Solution. All of our new license sales prices include bundled charges to either integrate your existing corporate website or to prepare a brand new website for your corporation. If brand new website need to be created then we require you to choose any template from thousands of website templates available from www.TemplateMonster.com. You need to choose only standard template from this website. Once you have chosen any template then let us know its template number. We will purchase the template, modify it to suite your requirements/ fit your content in it, integrate Ontogeny® MLM solution and make it available to you. All of it without any additional charges to you. Can anything be better than this? 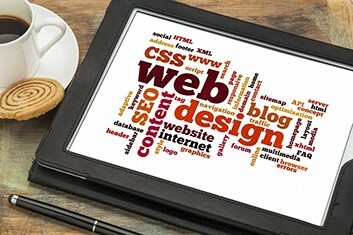 In case you are wondering how effective this can be, then visit online demo of the template on www.TemplateMonster.com. All our licenses already bundle 1 full year of hosting using our Hosting 10 plan and 1 full year license maintenance using our Persistent Maintenance Option. So you don’t have to pay any extra charges for hosting your solution for the first year. For second year onward charges will be applicable as detailed in our Pricing page. Also note that our hosting prices are charged in slabs of 10,000 nodes appearing in corporate genealogy. For most cases 1 node corresponds to each network marketer. However for binary if you offer multiple nodes (batch of 3, 7, 15 or higher nodes) then each node will be factored in as part of 10,000 slab. If your nodes exceed 10,000 then you will be required to pay additional charges. For Hosting only plan: US$ 480 * 3 = US$ 1,440. For Hosting 10 plan with Persistent Maintenance option: US$ 4,800 * 3 (slabs) = US$ 14,400. For Hosting 90 plan with Persistent Maintenance option: US$ 2,800 (Hosting for first slab) + US$ 700 * 2 (Hosting for two slabs above first 10,000) + 4,800 (Persistent maintenance) * 3 – 480 * 3 (offset for bundled Hosting 10 in Persistent maintenance) = US$ 17,160. What if you want to use maximum Intellify Growth maintenance and Hosting 999 plan? Let’s evaluate it as well. So maximum charges for the best options available will be – US$ 38,000 (hosting for first slab) + US$ 1,800 * 2 (Hosting for two slabs above first 10,000) + US$ 26,500 * 3 (Intellify Growth Maintenance) – 480 * 3 (offset for bundled Hosting 10 in Persistent maintenance) = US$ 119,600. Even our maximum charges for best service do not exceed their normal charges. Do note with us you get choice to use various options with price ranging from US$1,440 to US$ 119,660. Charges for the same from another vendor will be flat charges in the range of US$ 225,000 to US$ 525,000 that will be quoted to you without giving any choice for you to vary based on your needs. Ontogeny® gives you better control over your IT expenditures and variety of choices to choose the plan that is perfect for your needs and budget. Our CMS feature allows you to customize website menu, add remove any number of pages at any level, customize content that appears on all pages using rich online WYSIWYG (what you see is what you get) HTML editor. This HTML editor resembles a lot like most word processing software similar to Microsoft Word, thus you can start using it like a pro almost immediately. You may even import your contents from various document types like Rich Text (.rtf), Office Open XML (.docx), MIME HTML (.mht), Open Document (.odt), Plain Text (.txt). HTML content can be exported to various formats including all import formats supported and additionally Portable Document (.pdf). Ontogeny® offers you unlimited page views/ unmetered bandwidth usage. You can add public calendars with news & events that are visible to all or to specific Business Centre(s) as needed.